Today we have our final post in our interview series that has celebrated other creative small business owners this month. And let me tell you we saved a great one for last. 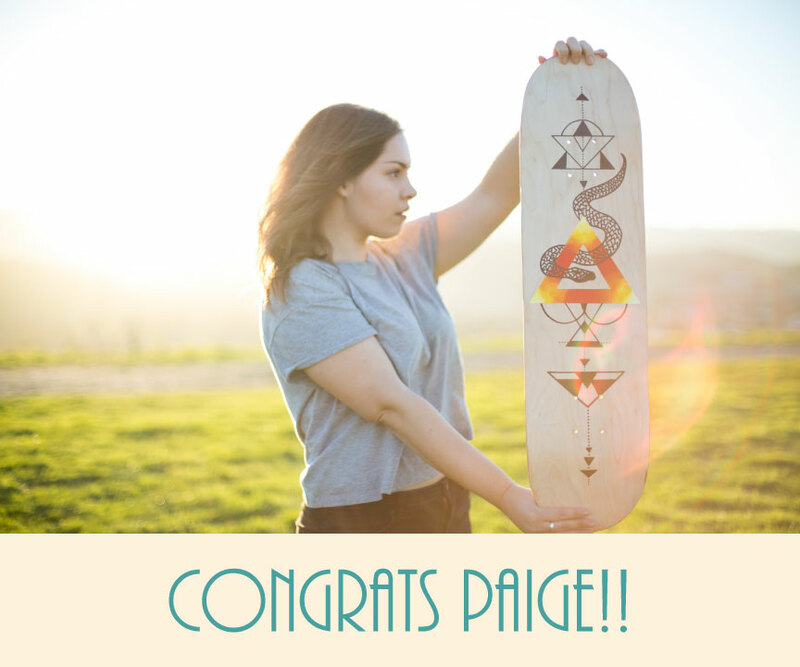 Today we are introducing you to Paige Poppe, an artist and maker with a unique take on art, creating hand painted skateboards, among many other talents. To top off the time, energy and commitment it takes to maintain your own business and keep creating art, this girl boss has the added pressure of being in architecture school! 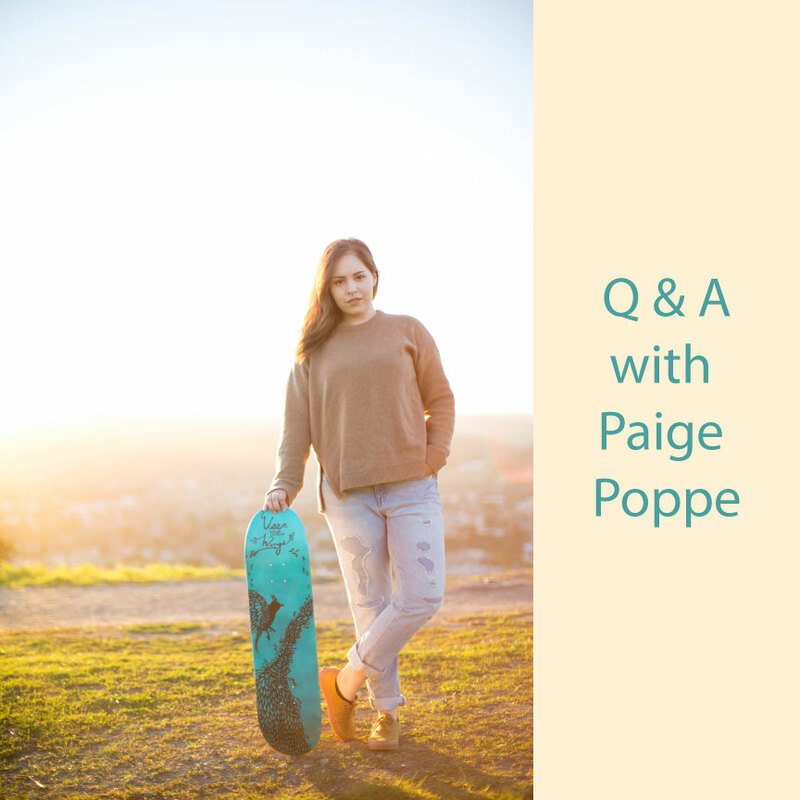 So read on to learn all about Paige Poppe and her amazing art. F.I.N.D.S. : First of all where do you find the time to rock your own business and go to Architecture School!? I have been through design school and it can be brutal and take every waking moment of our time. Paige: You feel me! Yes, architecture school is extremely demanding. I will say, that I don’t think I could have started my own business in my first 3 years of school, because the work load was just insane. I got serious with my art last summer before my thesis year. My thesis project is pretty self-motivated, so I was able to balance both. I also rely heavily on my day planner, and am a pretty fast worker. I am super motivated to chase my dreams, so I love putting in the work. F.I.N.D.S. : I saw on your website this started as a hobby and then developed into what it is today. Did you always know you would eventually start your own company or was that a surprise to you when it happened? Paige: It was a surprise! But I do think each thing we do in life is a step to the next bigger thing, you know? I was selling my artwork on Etsy and blogging for fun. I started my business last year when my summer job fell through, so I was like why not?! I was excited to start my own gig + I am so glad I did. F.I.N.D.S. : Would you recommend using Kickstarter as a way for others to get started launching their own dreams? How did all that work for you and getting your company started? Paige: I definitely recommend Kickstarter to other creators + makers, and am always excited when I see people utilizing it more. It worked very well for me. I was successfully funded, which gave me money upfront to work with, and also proved that there was an interest in my artwork. F.I.N.D.S. : Can you tell us more about your artwork? What exactly do you do? Paige: I am an artist + a maker. I am most known for my hand painted skateboards. I paint skateboards, cruisers, and longboards with my own designs, and also take custom orders, which are so fun! I make my cruiser decks by hand. I also create custom cut signs that are also hand painted. Finally, I love to watercolor, so you can find a lot of originals + prints in my shop as well. Basically, I love to create, and love working with clients to bring their design ideas to life! F.I.N.D.S. : Where do you draw inspiration? Do you have any favorite designers/artists that you draw your inspiration from? 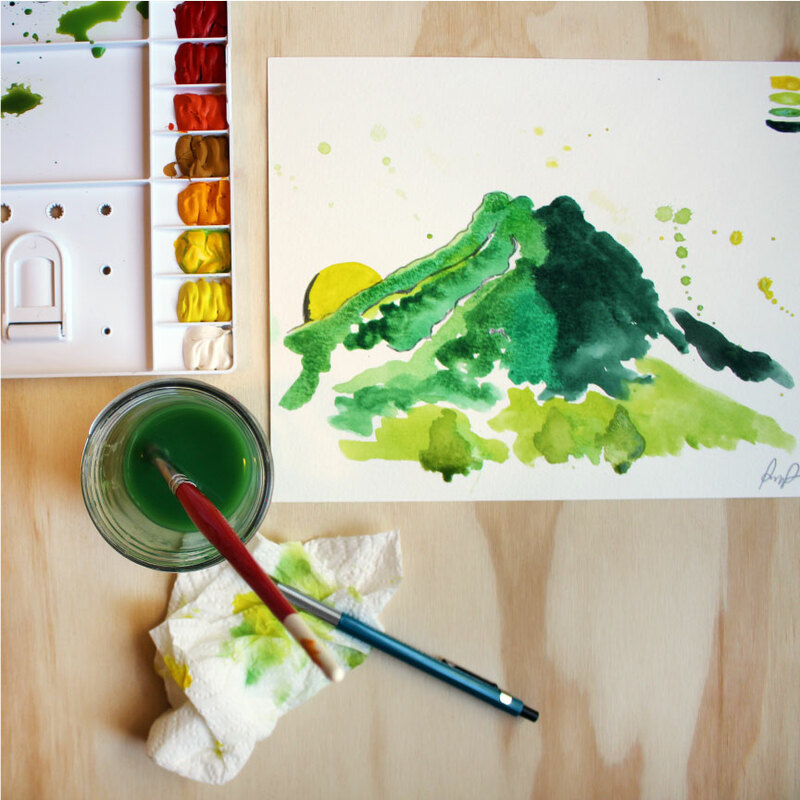 Paige: I am very inspired by the southwest, and am told that this is reflected in my artwork. I am also inspired by textures like raw wood, old brick walls…basically I just love old crumbly things, haha! As for people whose work I admire, I love architect Steven Holl’s watercolors, Georgia O’ Keefe, Frida Kahlo, and finally Kat Von D. That woman is the definition of an artistic girlboss. F.I.N.D.S. : I love this idea and think it is a unique piece of art to add to a home or office space. I see in your Etsy shop that you offer custom work. How does that work and what information would someone need to give you in order to get a custom design done? Paige: Thank you so much! Custom work is so fun because it allows people to have artwork in their home that really represents them or their family. When I do custom work, the client’s idea can be anything really. 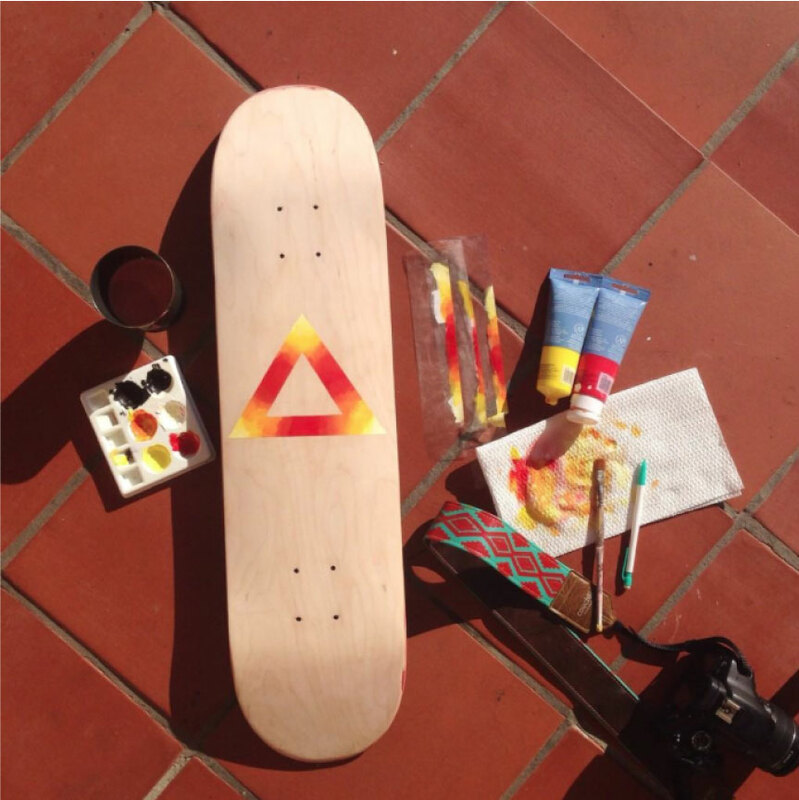 Recreating their favorite tattoo onto a skateboard deck, creating a custom sign of their hometown. You come to me with the idea + we will make some magic together! F.I.N.D.S. : When do you graduate from Architecture school? And what does that mean for your company? Do you plan to pursue architecture full time or will you continue with your art? Paige: I graduate from architecture school so soon, in just about 3 weeks! I will still continue my art, it is such a passion for me, I never see myself stopping now. I am also planning to pursue an architecture or design career full time once I move back to Arizona in July. I actually think it will be very fun to pursue both! F.I.N.D.S. : Can you share a little bit about your process? It is always interesting to get a peek into the design process of other creatives. Paige: Weirdly, I never really start with a sketch. I do provide sketches + design documents for my custom clients so they can get excited about the design, but when I do my own pieces I am very spontaneous and compulsive. In fact, today I was outside cutting wood signs for custom orders, and an idea popped into my head. I sketched it out onto my scrap wood, cut it, and painted it by the end of my afternoon! F.I.N.D.S. : Do you have any favorite tools of the trade? This could be supplies, books you reference, magazines for inspiration, etc. Anything you use on a regular basis that is your go to item or items. Paige: I have been soaking in so many amazing books + podcasts lately! I listen to Being Boss podcast when I paint, and I recommend it to everyone. It’s too good. My two latest book obsessions are Daring & Distruptive by Lisa Messenger, and You Are a Badass by Jen Sincero. I love surrounding myself with design articles + books, but those pieces of motivation are just as important to my creative process. As far as a few supplies, I can’t live without a good watercolor brush, a great camera for shooting photos + filming, and a killer cup of iced coffee! F.I.N.D.S. : As a fellow business owner I am fully aware that we do not get to spend our time doing the fun things all day every day. What is a typical day like for you? Paige: I typically wake up and like to get in a few hours of emails + painting before heading to class. If I have a free morning I also like to meet up with a fellow creative to bounce ideas off of each other and motivate one another as well! Then I will head to class, which is sometimes up to 7 hours a day which can be crazy! But I will come home, film for my Youtube channel, and then knock out some homework before painting again. I probably don’t sleep as much as I should, but I usually can’t put my creative energy to rest! F.I.N.D.S. : This is just something we like to ask everyone. We love to travel and use travel as a huge source of inspiration in our work. Do you travel often and if you do, where are your favorite destinations? Do you have a favorite design destination? Paige: I love to travel too! Last year I lived + studied in Copenhagen, Denmark for 9 months, which was an amazing opportunity. As far as design goes, Copenhagen is truly unmatched. It’s my second (or third) home, and I cannot wait to go back and visit! While I studied there I was very lucky to travel all over Europe. I really loved Berlin + Helsinki; also great cities for design! As for stateside, I am super obsessed with Seattle at the moment! F.I.N.D.S. 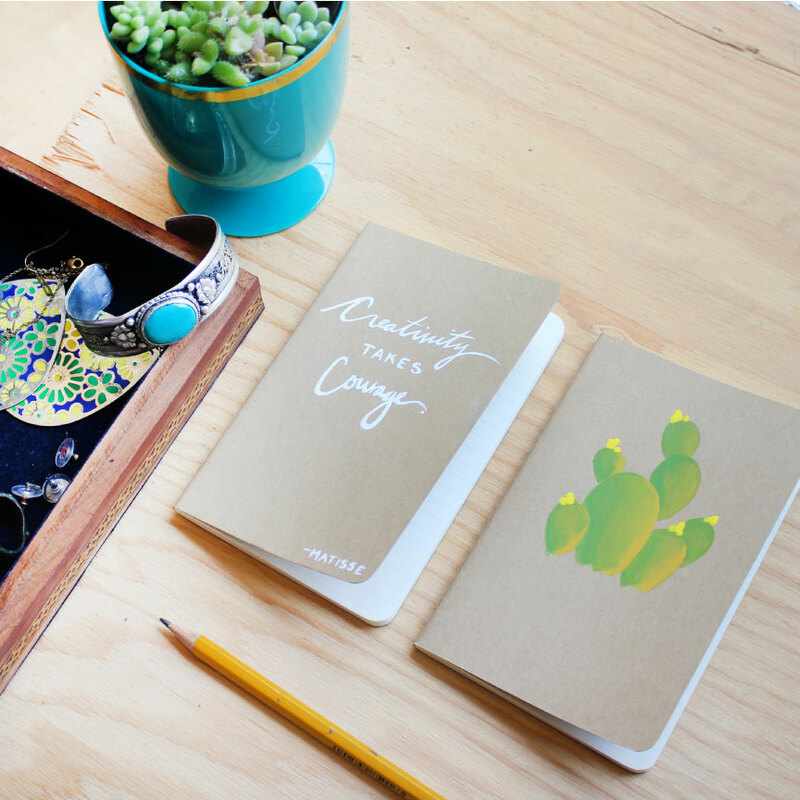 : Lastly, what advice would you have for someone who is starting out with a creative business? Paige: Be bold. Believe in yourself. And just start! When you are a creative + starting a new business, you have the unique opportunity to create exactly what you want to create, because you probably aren’t relying on the money yet. So use this to your advantage! Make often, and create from within. Oh and share share share! The Internet is an incredible tool. If you would like to follow Paige on social media, buy some of her art, or contact her for some custom work you can find her on her website. She is currently rebranding and will be launching her new site on June 1st so be sure to check back in a week or so and see all that is new. You can also find her on Facebook, Instagram, and You Tube. We have to finish up today by saying congrats on graduating from architecture school as well. We know all too well how difficult and time consuming it is to obtain and art/design degree. Not only is Paige finishing school, but she started her own business in the process and has rebranded/relaunched her site right at graduation time. That is an accomplishment that deserves to be recognized. Congratulations on it all Paige! Congrats Paige! Such amazing talent.